(updated 10-3-2018) Bates Field and Stream (501-470-1846) says the lake is stained and the level is normal. No specific surface temperature was recorded, but they report that the lake is obviously cooling down. Crappie are fair with minnows. Bass are fair on plastic worms and topwater lures. Catfishing is fair with nightcrawler. Bream have improved greatly in the past week, with good results. Anglers are using redworms and crickets. (updated 9-26-2018) Lowell Myers of Sore Lip’em All Guide Service said for fly-fishing, he recommends midges, soft hackles, sowbugs and streamers. Hot pink and cotton candy bodies on chartreuse jig heads are recommended for Trout Magnet spin fishing. Be safe while enjoying the river. Always check before heading to the Little Red River by calling the Corps of Engineers Little Rock District water data system (501-362-5150) for Greers Ferry Dam water release information or check the Corps of Engineers website (swl-wc.usace.army.mil) for real-time water release and the Southwestern Power Administration website (swpa.gov) to see forecasted generation schedule. (updated 10-3-2018) Tommy Cauley of Fishfinder Guide Service (501-940-1318) said the water level at Greers Ferry Lake is at 459.68 feet msl and falling. It is 2.36 feet below normal pool for this time of year of 462.04 feet msl, and it will continue to fall during generation with this hot weather. The catching is good overall if you stay around the shad and will get easier every day and we move more toward fall. Some of the fish have moved shallow while with others the thermocline has pushed them deeper – the thermocline has sunk more, as always happens in early fall here. The Team Bass Championship should be fun to all who participate and watch this weekend. The black bass are good on certain areas that contain shad or are close to them. A lot of baits are working from super shallow out to 55 feet, just pick your poison and stay around shad on any part of the lake (as we have a lot!). The crappie are still going good around any wood, while a lot are being caught just in open water 12-30 feet deep on minnows or jigs. Walleye are hit or miss; find them on your electronics and try and stay with them, and some can be caught on crawlers on jigheads, drop-shots, spoons and crankbaits in 18-55 feet of water. Bream are still good on crickets, crawlers, inline spinners, small crankbaits and flies. Catfish catching is still going good for the ones pursuing them as they all have had a good catching year this year. Any bait you would normally use is working all over the lake. The hybrid and white bass fishing is going good all day at various times all up and down the lake on spoons, inline spinners, swimbaits, Alabama rigs, grubs and topwater baits from the surface out to 55 feet of water. Just stay around the shad. (updated 10-3-2018) Harris Brake Lake Resort (501-889-2745) said the water is clear and the level is high. No surface temperature was recorded, but it’s nice early. Bass reports were good. Minnows were working best. Catfishing remains fair, with goldfish or minnows getting the action. No reports on bream or crappie. Over the weekend, one boat was on the water early in the morning and had lots of success with bass before the sun was up high. (updated 10-3-2018) Johnny “Catfish” Banks at Overcup Bait Shop and R.V. Park (501-354-9007) had no report. (updated 10-3-2018) Larry Walters at Bones Bait Shop (501-354-9900) said the fish are back to “jumping in the boat” this week. Clarity is clear and the level is normal. No surface temperature was recorded. Bream are fair. Crappie are good in about 10-12 feet depth. Fish around the brush piles with usual crappie baits. Bass reports were good, with bass hitting crankbaits and shad. Catfishing remains good. The cats are in about 7-8 feet depth and are attacking minnows and catfish bait. (updated 10-3-2018) Jolly Rogers Marina (501-868-5558) had no report. (updated 10-3-2018) Lisa Spencer at Lisa’s Bait Shop (501-778-6944) said catfish have been doing great since they stocked it with catfish on Tuesday, Sept. 25. Lots of people have been using fresh chicken livers, but nightcrawlers and bait shrimp and stink bait and bass minnows have been doing well, too. Usually after being stocked they bite almost everything. Bass have been hitting brooder minnows and some topwater baits. Bream are fair on crickets. Crappie been slow on No. 6 crappie minnows and crappie nibbles. (updated 9-26-2018) Lisa Spencer at Lisa’s Bait Shop (501-778-6944) said, “Well, it's that time of the year. It was stocked last week for the Bryant Fall Fest that they have every year in September. It was the back pond that was stocked for the fishing derby that was held last Saturday, Sept, 29th.” Catfish have been doing well on fresh chicken livers, nightcrawlers and bass minnows. Crappie have been small but slow on size 6 crappie minnows. Bass have been caught on brooder minnows as well as on some plastics. Bream are fair on crickets. (updated 9-26-2018) Lisa Spencer at Lisa’s Bait Shop (501-778-6944) said bass have been doing well on brooder minnows. Crappie are biting on size 6 crappie minnows and pink crappie minnows. Bream are fair on crickets and redworms. Some people are still catching catfish on trotlines using goldfish and black salties. (updated 10-3-2018) Lisa Spencer at Lisa’s Bait Shop (501-778-6944) said crappie are slow on size 6 crappie minnows and pink crappie minnows. Bass are fair on bass and brooder minnows. Catfish are good on nightcrawlers as well as black salties, especially on trotlines. Bream are doing fair off of crickets fishing deep. (updated 10-3-2018) Hatchet Jack’s in North Little Rock (501-758-4958) says catfishing is fair. Use chicken liver or nightcrawlers. (updated 10-3-2018) Hatchet Jack’s in North Little Rock (501-758-4958) says bream are fair around the piers. Use redworms or crickets. Bass are fair on topwater poppers and buzzbaits. No other reports. (updated 10-3-2018) Lisa Spencer at Lisa’s Bait Shop (501-778-6944) said crappie have been doing well off of size 6 crappie minnows and bass minnows. Bream are fair on crickets and redworms. Bass are good on bass minnows. Catfish are good on black salties and bait shrimp and fresh chicken livers. (updated 9-26-2018) Charley’s Hidden Harbor at Oppelo (501-354-8080) said that Monday and Tuesday anglers were seen catching both catfish and bass. The water is a little high and stained. For catfish, use a whole shad and worm combination. A lot of smaller fish are on front of the jetties, but the larger ones are on the back side. Reports have been good. Black bass are on the front side of sunken jetties. Use shad-colored crankbaits. Throw one on top and swim them back upstream. Bass are also off points of jetties, so use a dark lizard with a chartreuse tail. Reports are good. White bass are on top of sunken jetties chasing shad. Use a Firetiger crankbait. The catch has been good. (updated 10-3-2018) Ray Hudson at River Valley Marina (501-517-1250) says the water clarity has improved and is clear, with the water and current being normal now. No temperature was recorded. Bream fishing continues to be a no-go this week. Crappie are fair. The fish are in 5 feet depth and biting minnows. Bass were good. Most of the catches were small bass, but they are in 2-3 feet depth and are hitting spinnerbaits and worms. Catfishing continues to be fair with chicken livers and using shiners on a trotline. (updated 10-3-2018) Hatchet Jack’s (501-758-4948) said catfishing at the Murray Lock and Dam is fair using skipjack or slicks. (updated 9-26-2018) Zimmerman’s Exxon (501-944-2527) said bream are biting fair. Use crickets. Crappie are fair and are hitting super jigs and white bibric Rooster Tails. Black bass are excellent. Anglers report success with shad-colored Rat-L-Traps off the sandbars. Stripers are good on shad-colored Little Fishy’s baits. No reports on white bass or catfish. (updated 10-3-2018) Vince Miller from Fish ’N’ Stuff (501-834-5733) said the river clarity is muddy to stained. The river level and current are normal, no surface water temperature was recorded. Bass are good on crankbaits, topwater lures and black/blue jigs. Otherwise, the fishing is fairly poor. For the second straight week, no reports were heard on bream, crappie or catfish. (updated 10-3-2018) McSwain Sports Center (501-945-2471) said the water clarity is clear, with a normal level and current at Terry Lock and Dam. No reports on bream. Crappie are fair from anglers finding them in the backwaters. Bass are fair; no baits were mentioned. Catfishing is fair behind the dam. (updated 10-3-2018) Hatchet Jack’s (501-758-4948) said that below Murray Lock and Dam, catfishing is fair using skipjack or shad. (updated 9-26-2018) Zimmerman’s Exxon (501-944-2527) said the river has a lot of current and the level is high. Clarity is dingy. Catfishing reports are good below the Murray Dam, with shad getting the bites. There were no reports from the pool on bream, crappie or bass this week. However, below Terry Dam in the next pool, bream are biting fair in 5-6 feet of water on crickets. Crappie are fair in 10-15 feet of water off the rock jetties; use super jigs in red/chartreuse. Bass are fair. The bite is early and they are being caught off the sandbar. Use spinnerbaits, crankbaits and imitator buzzbaits. Nothing reported on catfish there or white bass. (updated 10-3-2018) McSwain Sports Center (501-945-2471) said the water is clear and the level is normal. No temperature was recorded. Bream reports have been poor. Crappie are good on minnows or jigs. Bass reports were good, with anglers using spinnerbaits, crankbaits or worms. Catfishing remained poor. (updated 10-3-2018) Herman’s Landing (870-241-3731) reported the water clarity is fairly clear, and the water is now high with no stumps showing. Crappie fishing is good. Use minnows or jigs. Bass fishing remained good, but anglers didn’t share their baits used. Catfishing is good with hot dogs. Bream fishing continues to be poor. As of Wednesday, the Army Corps of Engineers reports the lake’s elevation at 1,117.95 feet msl (normal conservation pool: 1,121.00 msl). (updated 10-3-2018) Southtown Sporting Goods (479-443-7148) said that the water level is normal and the clarity is clear. The water surface temperature his been in the high 70s. Bream are fair on crickets. Crappie are good pulling crankbaits. Bass fishing is improving, with fair results both early in the day and late in the evening. CC Spoons and topwater plugs are working along with jigs. Catfish are fair on prepared bait. Overall, they said fishing is slow this week on the lake. (updated 10-3-2018) Bailey’s Beaver Lake Guide Service (479-366-8664) striper activity for this week rates as good. Beaver Lake stripers are in fall transition mode and are heading into their fall locations. They are on the move, and being mobile/flexible will be key to finding them. Mike Bailey says they are seeing some topwater action, so get those binoculars out and be on the lookout! For you diehard live baiters, fishing using weighted lines, balloons and downlines between about 20-40 feet deep during daylight hours should get you some stripers. For the artificial baits you can try trolling umbrella rigs with white or chartreuse jigs/grubs or plugs like Rapala No. 14 husky jerks in black back or purple back colors, as well as Smithwick Rogues in similar colors in 5- to 6-inch model on planer boards to stagger your presentation. Down-rigging those baits will be effective as well, especially at night. Make sure you do not keep striper under 20 inches and not more than three striper/hybrid or combination. Walleye must be 18 inches long with a limit of four. Fish location is greatly influenced by lake level and current flow. Current in Beaver Lake from generation will generally position fish on upstream or downstream edges of structure; check the daily lake level and flow data link on Bailey’s website. Mike also says live bait is always the go-to approach on Beaver Lake when fishing for trophy stripers. This week, water surface temperatures remain in the high 70s. Mike suggests checking out these hot spots on the mid- and upper sections of the lake, where stripers are on the prowl throughout and there is topwater activity noted: Point 1 (lots of topwater activity around the campground island and the area between there and Honey Creek), Big Clifty, points 5 and 6, Rambo Creek Arm (check the main lake points and humps and also look in back near the tree line), Rocky Branch, Ford and Cedar creeks (pay attention to where tree line intersects channel), Larue (check the main channel bends and cuts), Coppermine, Ventris, Shaddox Hollow, the Highway 12 bridge (lot of fish coming out of the river late due to high water) and Prairie Creek. (updated 10-3-2018) Lake Fayetteville Boat Dock (479-444-3476) said the lake clarity is stained. Surface water temperature was 75 degrees, and the level is normal.. Crappie remain fair, with anglers catching them on jigs and crankbaits. Trolling has been the way to go here. Bass were poor. The response was mostly using crankbaits, plastic worms and stickbaits and shad. Catfishing is improving, with good reports this week. Anglers were using worms and pretty much anything else. Some mentioned glow worms and catfish bait. Bream fishing continues to be poor. Best results will come with small hair jigs. (updated 10-3-2018) Lake Sequoyah Boat Dock (479-444-3475) reports that the water clarity is clear, and the level is normal. The surface water temperature has been in the 70s. Bream are fair on redworms. Crappie are good on minnows; target the fish in 7-12 feet depth. Bass fishing continues to be good, with anglers using plastic worms and flukes. Catfishing is good; use punch bait or chicken liver. (updated 10-3-2018) Ome Coleman at Lake Poinsett State Park said, “We are so blessed with this beautiful weather. Makes you want to go fishing! Minnows are the live bait of choice right now. Some are still buying the gold fish. We at Lake Poinsett State Park are here to serve.” While Lake Poinsett is closed to anglers until 2020 for extensive repairs, there are other lakes in the immediate area to check out, including Lake Hogue and Lake Charles. Also, the AGFC’s Family and Community Fishing Program is stocking the pond at Arkansas State University in Jonesboro. (updated 10-3-2018) Boxhound Marina (870-670-4496) said the water is clear and is at normal level. The surface temperature is ranging 74-78 degrees, warm during the day and colder at night. Bream are fair on crickets. Still no reports on crappie. Bass are good, but no baits were mentioned. Catfishing is fair on chicken liver. (updated 10-3-2018) Mark Crawford with springriverfliesandguides.com (870-955-8300) said water levels are running at 260 cfs (350 average) and water clarity has been clear. The river remains low and clear, making for easier wading on the Spring. Cool cloudy days have the trout hitting great, and we are seeing bigger rainbows feeding. Go with olive Woollies on cloudy days and Y2Ks on the sunny days. On the cloudy days, also cast downstream with a slow steady strip back upstream to get the hits. On hatches, a nymph pattern will work great. Hot pink and white Trout Magnets are working well for spin fishing. (updated 10-3-2018) John Berry of Berry Brothers Guide Service in Cotter (870-435-2169) said the Spring River is navigable. This is a great place to wade fish, when they are running water on the White and Norfork Rivers. Canoe season is almost over and there are still several boats on the river. Be sure to wear cleated boots and carry a wading staff. There is a lot of bedrock that can get very slick. The hot flies have been size 10 olive Woolly Buggers with a bit of flash, size 10 cerise and hot pink San Juan worms and size 10 Y2Ks. (updated 10-3-2018) Triangle Sports (870-793-7122) said the water is clear, while the level is low by about 5.5 feet. Bream reports were poor. Crappie are biting fair. Bass fishing is fair. Catfish are biting poorly. Walleye reports have been fair. There was no information on any baits used for any species. (updated 9-26-2018) The University of Arkansas at Pine Bluff Bass Fishing Team had no report. (updated 10-3-2018) Park Interpreter Houston Wynn at Cane Creek Lake State Park says fishing at cane Creek is alive and well, and all of the main fish species are biting! Bass fishing is in high gear, and though fish are biting in numbers and with size, they can be found schooling at about 2- to 4-four pounds. Crankbaits and spinnerbaits seem to be landing in the best catches – anything that resembles the schooling shad should work. With the air temperatures the way that they are, mornings and evening are the best time to find these fish. Bream fishing is still in its summer-mode. With these fish still sitting on beds in shallow water, they can be caught in an abundance. You can find these fish at all times of the day in anywhere from 2-5 feet of water, with your larger fish hanging in the deeper water. Just about any bait will work, but the best reports have been coming from crickets. Catfish are still in summer mode, and they can be caught many different ways. Try the deeper channels of the lake during the daytime to find larger fish, while smaller or “eating size” fish will hang closer to the shore. At night the catfish will be following the shad up and down the shoreline, so fish anywhere that there is a bay or bait activity. Crappie are starting to be found more and more frequently. They’re starting to go in to their fall pattern and head into shallower waters around structure. Jigs are working at all times of the day. Minnows always seem to be effective as well. (updated 9-26-2018) The lake is down about 7 feet and in a draw down while the AGFC does some vegetation and fish cover work on the shoreline through September. This week, the AGFC teams were anchoring new tree cover to the shallow shoreline areas before the lake is brought back up. There is a little fishing going on. Tree stumps are showing in the coves toward the east and northeast of the lake; those are good areas to fish for the bass as the temperature cools down. As of Wednesday, the Army Corps of Engineers reports the lake’s elevation at 260.46 feet msl (normal conservation pool: 259.20 msl). (updated 10-3-2018) Mike Siefert at Millwood Lake Guide Service said that as of Monday the lake continues a slow steady rise with all recent thunderstorms. On Monday the lake was about a foot above normal conservation pool, and the discharge was around 200 cfs for Little River, according to the Army Corps of Engineers. The tailwater below the dam was pushed back up to the headwaters of Little River from recent Red River rising levels, and as of Monday it was now falling, about 233 feet msl, with gates releasing about 220 cfs. Water temps have dropped over the past week. Be sure and check the most recent lake level of Millwood Lake on the guide service’s website linked above, or at the Army Corps of Engineers website, for updated gate release changes and inflow rates with rising and falling lake levels and conditions Continue to use caution in navigation on Little River and Millwood watching for random, broken or floating timber. Clarity and visibility have stained over the past week with rising lake pool, but remain fair to good in places. Further upriver finds highest turbidity rates. Mike says that recent cool rain and cloud cover continue dropping the surface temps, and recent thunderstorms stained up the lake more this week. Runoff from mudflats and creek channels have contributed to most stain along the river since last week. Current is almost nonexistent in the river, but the surface is cloudy from runoff. Last few weeks they found bass surface-feeding in Little River, running shad to the surface, and in adjacent shallow flats to deeper ditches, creek channels and points along the river. The largemouth bass, Kentucky bass and a few white bass continue randomly surface schooling on shad along Little River and the oxbows at varying times early to midmorning over depths of 15-20 feet, and also a few of the flats from 5-9 feet in lily pads and vegetation. Bass of 2-3 pounds remain active at daylight. Best baits drawing topwater reactions at early morning over the past couple weeks are Heddon Spitn' Images, Cordell Crazy Shads, Stuttersteps and Bass Assassin Shads at dawn near pads and vegetation. Chatterbaits and H&H Spinnerbaits are working in same areas at same time as the surface feeders. Black/white and white/chartreuse or black/white/yellow H&H Spinners or Rocket Shads seem to produce best. Quarter-ounce to half-ounce Rat-L-Traps in Millwood Magic, Ghost, Holographic Transparent Shad, Livin Chrome and most any shad pattern are catching schoolers breaking surface on shad, along with fast-moving Chrome Johnson Silver Minnow Spoons with a white grub trailer over tops of the lily pads. After the topwater activity diminishes, a fairly good bite has been found for several weeks by medium depth-running (5-9 feet deep) Rat-L-Traps, Fat Free Shad crankbaits, H&H Spinnerbaits, Rocket Shads, or square-bill crankbaits, 2.0 & 3.0 & S-cranks and Echo 1.75s. Deflect and bang/deflect them off stumps from 8-10 feet deep in creek channels and points. Magnum Tubes like Gitzits have been working on stumps with best reactions on Black & Blue tail, Pumpkinseed/Chartreuse tail or Bluegill colors. Bass Assassin Skunk Apes are working in creeks from 8-10 feet deep on stumps. Best color of Skunk Apes over the past week are the Houdini or Hillbilly Special. Vertical-jigging spoons are still working with Kentucky (spotted) bass and schools of largemouths in Little River behind points and washouts. Fair to large size schools of white bass have been randomly schooling on surface feeding shad in Little River with the largemouths and Kentucky bass, and continue biting very good on Fat Free Shads, Rat-L-Traps, Cordell Hammered Spoons with red/white bucktails and Rocket Shads. Crappie were more consistent over the past couple of weeks from 8-13 feet of depth on minnows, shiners and vertically-jigging crappie tubes in red/white, blue/white or Cotton Cordell Paddle Tail Grubs in smoke colors. No reports this week on catfish. 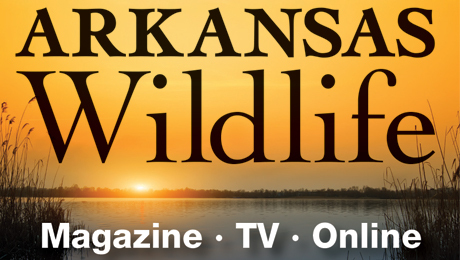 Sportsman’s One Stop in El Dorado (870-863-7248) reports that a few bass being caught. As of Wednesday, the Army Corps of Engineers reports the lake’s elevation was 538.54 feet msl (full pool: 548.00 feet msl). (updated 10-3-2018) Jason Lenderman of JL Guide Service (870-490-0804) says the lake level is 9.5 feet below full pool of 548 feet msl and has risen some in the last week. Water temps have made it to the mid to upper 70s. The bass are moving into their fall patterns and will only get better as the water cools. Super Spook Jr’s, Zara Puppies, Booyah Hard Knockers and small swimbaits are seeing some action on main lake points with some schooling action taking place throughout the day, especially early and late. Shaky head-rigged Yum Finesse Worms and drop-shots rigged with Yum Kill Shots or Sharpshooters are working OK on main lake points around brush as well. The crankbait bite is picking up as well using shad colored Bandit crankbaits. Crappie are really coming on. They can be caught in 15-30 foot brush with minnows or Kalin’s Grubs. (updated 10-3-2018) Capt. Darryl Morris at Family Fishing Trips says crappie are stacking up in great numbers on brush piles in 18-24 feet of water fished with live bait 12-15 feet deep. As of Wednesday, the Army Corps of Engineers reports the lake’s elevation was 397.63 feet msl (flood pool: 408.00 feet msl). (updated 10-3-2018) Capt. Darryl Morris at Family Fishing Trips said white bass and hybrids are still schooling. Watch for the large groups of boats. Everything from vertical-jigging spoons to topwater baits are producing. Crappie are starting to stack up on brush piles in 18-24 feet of water fished with live bait 8-15 feet deep. (updated 9-26-2018) Local angler George Graves said surface water temperature is in the high 70s and the lake is clear throughout. “Seeing lots of deer with little ones crossing the road on my way fishing early in the morning,” George noted. “If you see a deer cross, slow down, because there probably be a little one following mama.” Overall, all fishing is very good due to the abundance of shad, which are schooling near the surface with the lower water temps. However, this will probably change with cold windy weather arriving. Bass fishing is only fair with mostly small fish reported. Look for fish between Arlie Moore and Iron Mountain feeding on shad in coves off secondary points. Best spots have been the big coves between points 2 and 6 on the south side and between Caddo Bend and the marina at the state park. Look for "breaking" fish and throw most any smaller topwater plug in natural shad. Also try soft plastics such as Flukes and 3-inch swimbaits. If no surface activity, try a Texas-rigged worm in green pumpkin or red shad. Crappie fishing is getting better as the water cools. Look for fish on attractors around 20 feet deep. Finding attractors at this depth can be the hardest part of crappie fishing right now due to the low water. When deep water cover is located, drop a 2-inch Kalin's Grub in Tennessee Shad on a 1/16-ounce jighead over the thickest part of the cover. Move slowly around the brush until fish are located. The fish will be mostly only in one spot so be sure to cover the entire attractor. Look for attractors between Edgewood and Shouse Ford and in the major coves. George says that lots of white bass and some hybrids were showing in the huge shad schools in the Arlie Moore/Point 28 areas. Look for feeding, "breaking" fish and throw small topwater plugs. Sometimes the bigger hybrids will be a bit deeper, so try a small half-ounce spoon such as Kastmaster or Hopkins. The fish were feeding most all day during the hot wet weather, but don't be surprised if this action is over with the cold windy weather moving in. Bream fishing has been good but with the cold weather arriving, the fish will move to deeper water at 15-20 feet. Try the deeper points in coves and fish near the bottom baiting with redworm or crickets. As of Wednesday, the Army Corps of Engineers reports the lake’s elevation was 437.44 feet msl (flood pool: 437.00 feet msl). As of Wednesday, the Army Corps of Engineers reports the lake’s elevation was 526.35 feet msl (flood pool: 526.00 feet msl). (updated 10-3-2018) Lucky Landing (479-641-7615) reported the lake is still cloudy like last week, and so is the fishing. Bream are fair on worms or crickets. Crappie are fair on minnows or jigs. Black bass are good with plastic worms and live worms. No reports on catfish or white bass. (updated 10-3-2018) Shane Goodner, owner of Catch’em All Guide Service, reports that Entergy is currently running a minimum-flow pattern of generation below Carpenter Dam. The lake is at a normal summertime pool and will remain at this level until November when the winter drawdown is scheduled to begin. Rainbow trout fishing has been over for months as the last productive fishing ended in early July. Very few trout remain in the tailrace and no quality fishing will occur until the week of Thanksgiving when the stocking schedule begins again. Water temperature ranges from 67 degrees below the dam to 74 degrees below the bridge. Clarity is good and the overall look of the tailrace is healthy. In the absence of a healthy rainbow trout population, white bass and striper activity are the main sources of gamefish in the early fall. These fish feed heavily on the threadfin and gizzard shad population around the dam. Fall temperatures can bring about some topwater activity as these predator fish chase shad to the surface. Zara Spooks in white or shad colors work well along with Super Spooks in rainbow trout colors as feeding times are fast and short-lived. Stripers move in and out of the tailrace weekly and feed alongside white bass. Large fish over 20 pounds are often seen breaking water below the bridge. Live bait presentations are the best bet for hooking striped bass as artificial lures are often ignored by these wary bass. Gizzard shad presented under a balloon rig will work in slack or current and give anglers the best chance for a hook-up. Watching for breaking fish is crucial for success in the tailrace as schools of bass move quickly and feeding times are short. Walleye are being caught below the dam in deep water on jigging spoons in silver and gold colors. Numbers are few, but fish in the 5-pound class are present. Bream tend to congregate around the dam in the fall and can be caught on crickets and nightcrawlers fished just off the bottom with a marshmallow floater. Overall, fishing is slow for all game species in the Carpenter Dam tailrace but will improve greatly in the month of November when the rainbow trout stocking commences for the fall. Anyone navigating the area should be aware of the generation schedules and must always obey all lake and park rules. (updated 10-3-2018) Charles Morrison at Classic Catch Guide Service (479-647-9945) said water temperature has cooled to 75 degrees. It may warm back up with the couple of warm days this week. But the fall bite has started. Striped bass are starting to run topwater baits and are working well with crankbaits, jerkbaits, swimbaits and spinnerbaits. White bass are schooling as well; use spoons smaller crankbaits, inline spinners, Chug Bugs and Pop-R's. Largemouth bass have been excellent, with the larger bass beginning to move shallow. Crankbaits, Uncle George Tailspins, Zara Spooks, Chug Bugs and weightless scam shad have been working well on the schooling bass. Jigs and bamboozie are working well around lily pads and rock. Catfish has been good on cut shad and skipjack around the mouth of the creeks and pockets. Bream have been excellent on crickets and worms in the lily pads and around gravel flats. Crappie are starting to heat up; use minnows (black or pink), while Firetiger and chartreuse jigs are working well. (updated 9-26-2018) Andrews Bait Shop and More (479-272-4025) said the water is muddy. No surface water temperature was recorded. Water level is high, and it appears to be rising about a foot a day. Bream reports were fair this week. Worms worked best. Crappie are good in 10 feet depth; anglers catching crappie were trolling with Roadrunners. Bass are fair. A white spinnerbait continues to work best along with gold willow leaf. Catfishing is fair. Noodling or using nightcrawlers remain the way to go. (updated 10-3-2018) Good Ole Boys Trading Post (479-272-4710) had no report. (updated 9-26-2018) Lisa’s Bait Shop in Benton says a couple of customers are using bass minnows and are still doing great for crappie fishing. As of Wednesday, the Army Corps of Engineers reports the lake’s elevation was 571.08 feet msl (full pool: 578.00 feet msl). (updated 10-3-2018) Lisa Spencer at Lisa’s Bait Shop (501-778-6944) in Benton said her customers tell her nice crappie are still being caught off of size 4 crappie minnows hitting those brush tops. (updated 10-3-2018) Todd Gadberry at Mountain Harbor Resort and Spa (870-867-2191/800-832-2276 out of state) said black bass are good. Live crawfish are best at this time for spots, and some topwater action on Flukes or Spooks has been good on the west end of the lake. Walleye are very good. Try using a CC Spoon near brush for these fish. Stripers are fair on live bait. Major creek mouths and main lake points on the eastern and central parts of the lake are the best for these fish. Bream are good and being caught on crickets and worms in 15-25 feet of water near brush. Crappie are fair and being caught with jigs or minnows in 15-20 feet of water near brush. Catfish are good. Cut bait, live bait and stink bait are all producing good bags. Lake conditions see water clarity as clear and the surfaced temperature at 78-82 degrees. Contact the Mountain Harbor guides – Mike Wurm, 501-622-7717; Chris Darby, 870-867-7822; and Jerry Bean, 501-282-6104 – for more information. As of Wednesday, the Army Corps of Engineers reports the lake’s elevation was 384.56 feet msl (full pool: 384.00 feet msl). 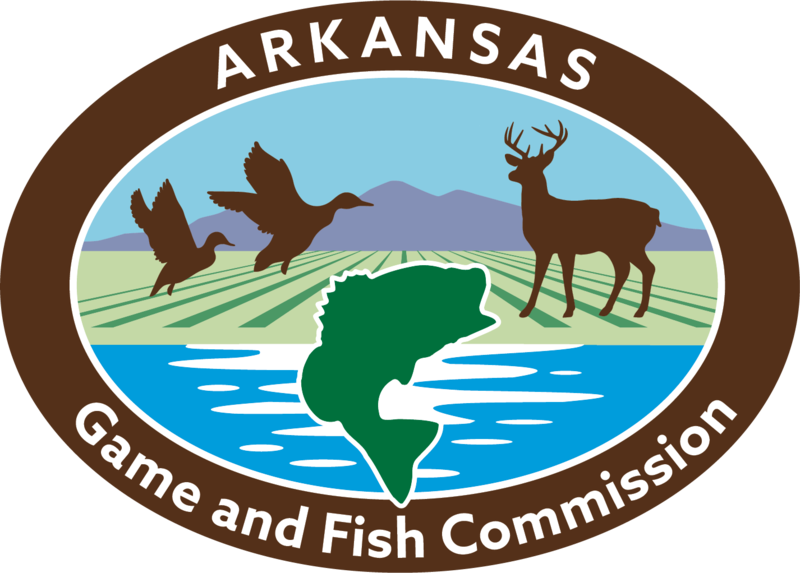 (updated 10-03-2018) The AGFC’s Wil Hafner at Cook’s Lake Conservation Education Center (870-241-3373) said the recent heat wave has slowed the bite down, but cooler weather in the forecast should set fish in fall patterns by Oct. 6. Anglers are reporting a few black bass to be hitting Texas-rigged green pumpkin Baby Brush Hogs in the deeper water and white spinnerbaits near the bank. The bluegill have slowed down. Catfishing has been fair off of the dock with nightcrawlers and hot dogs. The crappie bite has picked up a bit on black/chartreuse tube jigs near brush tops and dead cypress stumps. Cook’s Lake is a 2.5 mile long oxbow off of the White River, nestled in the heart of the Dale Bumpers White River National Wildlife Refuge near Casscoe in Arkansas County. This fertile oxbow receives very little fishing pressure due to being used only for education purposes and youth and mobility impaired fishing. The scenic lake is full of slab crappie, giant bluegills, largemouth bass and catfish of all species. Oct. 6 will be the last fishing day of 2018. Cook’s Lake will re-open for fishing the first weekend in March 2019. Cook’s Lake is open to fishing for youth under 16 or mobility impaired, and up to two helpers (who may also fish). Fish from the 140-foot mobility-impaired accessible dock or launch a boat, but we ask for trolling motors only (outboard motor may be used for loading and unloading or in case of emergency). Before launching, please check in at the Conservation Education Center, and report back before leaving. For information or unscheduled closures, please contact the center at 870-241-3373. (updated 9-26-2018) Natalie Faughn, ranger at Mississippi River State Park (870-295-4040), says fishing and hunting seasons seem to have a reverse effect on each other at the park. With archery season now open, it seems most of their anglers have abandoned the boats and rods for tree stands and bows. However, Natalie says, they have had some positive reports coming from Bear Creek Lake about the catfish biting on yoyo’s using stink bait. Bass are biting a little bit deeper on chartreuse jigs. Bream and crappie activity seems to have slowed down. (updated 9-26-2018) Natalie Faughn, ranger at Mississippi River State Park (870-295-4040), said that like Bear Creek Lake, Storm Creek Lake doesn’t have much activity to report these days. Some anglers have been trying their luck with the bream but can’t seem to get more than a few bites with worms. “If someone is fishing down there and having some luck, please call the park and let us know! We won’t give away (all) of your secret spots,” she says.